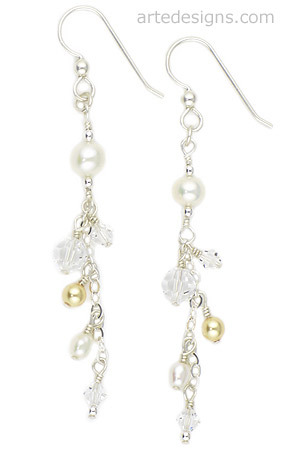 White pearls, Swarovski crystals, and gold Swarovski crystal pearls cascade lightly, creating these festive champagne bubble earrings. Sparkly and lightweight! Approximately 2.75 inches long. Sterling silver wires.